The Atlantic hurricane season is from June 1 to November 30. To my readers in other parts of the country, it’s no big deal. Here in the Southeast, it can be a very big deal. Look at Andrew in Florida, Katrina in Louisiana, or Isabelle, quite literally, at my house. The National Oceanic and Atmospheric Administration has just released its 2010 hurricane forecast. They are calling for a more active than average season with up to 23 named storms (winds over 39 mph), up to 14 hurricanes (winds over 74 mph) and 3-7 major hurricanes (winds over 111 mph). As a part of his agency’s push for more self-reliance by Americans, FEMA Administrator Craig Fugate said, "… it's important that families and businesses in coastal communities take steps now to be ready. These include developing a communications plan, putting together a kit, and staying informed of the latest forecasts and local emergency plans.” Putting having a plan, putting together the suggested 72-hour kit, and staying informed is good for the masses, but not good enough for you if you are taking the time to read this. Ready.gov actually has a pretty good template for making a communications plan. Essentially, you write down the contact information for everyone in your immediate family, as well as family or friends outside of the area that can be used as message takers. Include home, work and cell phone numbers, email addresses, mailing and physical addresses, and relationships. Ensure that each member of your immediate family carries this information in several versions. Load it into your cell phones. Save it to your Outlook directory. Print it on card stock and laminate it to keep in your wallet. For your small child, maybe you glue that laminated card to the inside of her backpack or cooler bag. Ensure that all but the very youngest children have several dollars worth of quarters and/or a prepaid calling card to use at payphones if the cellular network is down. Ensure that each family member knows how to contact each other and what information to give to the out-of-town contact if you can’t be reached. Consider semiannual practice drills. Please be sure your out-of-town contact knows what to expect and is willing to take on that responsibility. Determine in advance, what the out-of-town contact will tell your family members… Stay at your office or school? Get to Uncle Fred’s house any way you can? It really depends on your circumstances. Just think about it and plan out several scenarios. This communications plan is not just for hurricane season, but should be in place every day for any emergency that could arise. 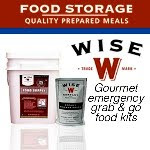 Now is a perfect time to look at your supplies and stock up. If you happen to live in Virginia, we are in the midst of the annual Hurricane and Emergency Preparedness Equipment Sales Tax Holiday. Many merchants have sales on qualifying items. Improve your larder, save some money, and stick it to the man, all at the same time! 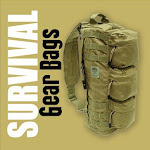 In addition to your usual 72-hour kit (also known as a Get Home Bag –GHB or Bug Out Bag – BOB) some items you might want to add to your family’s kit include batteries, flashlights (at least one for every vehicle and room of the home – consider a small one on each key ring as well) and lanterns, 2-way radios (great for communicating with neighbors), NOAA Weather Alert radios, tarps of various sizes and construction (in case a tree goes through the roof or a window breaks), fuel cans (be sure to get stabilizer for any stored fuel), water storage containers, bottled water, manual can openers (having several is always good), a good first aid kit (I strongly encourage all family members to get basic first aid training at a minimum, and have an emergency medical reference book on hand), and finally, a generator. With a generator, get a licensed electrician to set it up so it is safe for your home and for electrical workers. If you already have sufficient supplies, take the start of hurricane season as a reminder to change out your flashlight and radio batteries, rotate your fuel stores, and do an oil change on your generator. You are already starting it up and running it under load for 30 minutes every month, right? Finally, staying informed. Do you know what your community’s weather emergency plan is? How about an evacuation plan? If you are on the water, are you in a surge zone? For what class of hurricane? Do you have your weather radio set to sound all alerts in your county or do you just turn it on when it looks nasty outside? The local newspaper, TV news and radio stations can be important sources of weather information. Check the websites for the National Weather Service and National Hurricane Center. Get email or text alerts from NWS for your area. Another part of information is sharing it. Talk to your neighbors about weather preparedness. See if you can help them with anything. They may very well be able to help you too. Talk to folks at your church and in your child’s school. We frequently see communities that have a history of working together come out of crises far better than those that don’t take responsibility for themselves and whose only plan is to wait for the feds. Hurricanes truly demonstrate nature’s fury. They can be unpredictable and deadly with high winds, heavy rain, storm surge, and tornadoes. The recovery period can be even worse than the storm, itself. If you live in an area of hurricane activity, take this time before the season to check your plans and supplies, and fix your deficiencies. If you are not in hurricane country, take the time to check your preparations for whatever disasters or emergencies you might be planning for. When FEMA is telling us to take responsibility for ourselves, that is advice to be taken. Survivalist. Prepper. Homesteader. Paranoid. A little of column “A,” a little of column “B.” Uncle Sam now encourages people to have 72 – hour kits and emergency plans. What does all that mean to me? I grew up toward the end of the Cold War. My grandparents grew up in the Great Depression. I saw Red Dawn and The Day After. I read American Survival Guide magazine and the adventures of John Thomas Rourke in The Survivalist series of novels. In high school this led me to keep my .22 rifle and 12 gauge shotgun under my bed with a couple of cans of tuna and a 2 liter soda bottle filled with water. I carried a Swiss Army Knife every day and planned what I would do if DC got nuked or if Ivan decided to invade my suburban homeland. Next, came a little situation that was referred to as the Y2K bug. I was living in a rented farmhouse, and for two years, every spare dime, plus too much debt, went to being ready for a complete breakdown of society. Because billions of dollars were spent to fix the bug, it turned out to be a non-event. After years of nothing happening, I went to sleep. Being prepared was not on my radar. I sold or gave away a lot of my supplies. Even the 9-11 attacks did not rouse me from my slumber. That did not last long. In 2003, I was getting ready to be married when Hurricane Isabelle hit. A year later, Tropical Storm Gaston again devastated our area. Also, I now had my wife depending on me. I was now awake. I have spent the last six years rebuilding my knowledge and preparations. I have sought out books, videos, training and other resources. I have become professionally involved in preparedness and emergency response. I see preparedness not only from the family point of view, but also as a representative of local government. One who realizes the limitations of government and plans to not rely on it. I have a circle of friends who also practice preparedness. We all now understand that it is more than guns, more than a box of MREs, more than tactical gear. Preparedness to me means limiting my dependence on outside sources and increasing the ability of my family to prevail, no matter what life might throw our way. It could be natural disasters, pandemic disease, nuclear accidents, acts of war… It could also be something much more local and personal. A family death. Loss of a job. Debilitating illness. The key is that all of my efforts at preparedness will help us prevail after such incidents. Those efforts will also keep us living a good life even if nothing goes wrong. But how often does nothing in life go wrong? Preparedness is not a reaction. It is action. It is not a one shot deal. It is a lifestyle. Please join me for this journey. Learn from me, and share what you know so that I can learn from you. Come back for weekly columns covering all aspects of the preparedness lifestyle and community. Thank you.